Prior to World War II, an extensive review of the air defence capabilities of the UK was undertaken by the government. This led to a major expansion of the Royal Air Force after the 1934 and resulted in the opening of many new airfields over the remainder of the decade. Construction of RAF West Raynham commenced in 1936 as part of this scheme, and officially opened in April 1939. Once built the site conformed to the typical layout of the ‘Expansion Period’ airfields, consisting of a roughly rectangular grass surfaced landing ground with runways in triangular plan, and the technical site, hangars and accommodation blocks all grouped close together at the north-west corner. A bomb store was colocated to the south-east of the airfield. RAF West Raynham is an almost complete example of a pre-WWII aerodrome, having much of the infrastructure and buildings surviving. Particularly notable is the original watch office located to the west of the runway, and four, little altered, ‘C’ type hangars. In 1943 the grass landing area was replaced with two concrete runways, one at 2,000 yards long and the other 1,400 yards. At the same time, the existing housing on the site was expanded to provide accommodation for 2,456 men and 658 women. During World War II, RAF West Raynham was used primarily as a bomber command airfield; stationed were various squadrons through at the start of the war flying Bristol Blenheims (Squadron 101 1939 – 1940, Squadron 114 1940 – 1941, Squadron 18 1941 – 1942). In 1940, RAF Great Massingham was founded just 2 miles from RAF West Raynham to act as a satellite base. It was originally intended to support West Raynham and provide it with extra space for its Blenheims, but eventually expanded to accommodate a squadron of its own. A second support airfield, RAF Sculthorpe, was built to the north. In 1942, squadrons 180 and 342 were formed at West Raynham. The 180 Squadron was equipped with North American B-25 Mitchells and based at RAF Great Massingham. Squadron 342 was provided with Douglas Bostons and crewed by Frenchmen in early 1943, and was later relocated to RAF Sculthorpe. In December 1943, the station was taken over by 100 Group who specialised in Electronic Countermeasures, who brought 141 and 239 squadrons to RAF West Raynham. They were equipped with the de Havilland Mosquito fighter aircraft which provided support to bomber sorties in enemy air space. They were based at West Raynham until the end of the war; their duties involved flying Serrate patrols and “Ranger sorties” (seek and destroy enemy fighters in the air and on the ground). During the war, squadrons stationed at RAF West Raynham lost 56 Blenheims, 29 Mosquitos, and a Bristol Beaufighter. Towards the end of WWII, the base was converted to accommodate Very Heavy Bombers (VHBs), one of only five airfields in the country to be modified for this use. This necessitated the construction of a new Air Traffic Control building and the extension of the perimeter track, creation of hardstandings and lengthening of runways to accommodate the anticipated Vickers Windsor, Avro Lincoln and B-29 Superfortress bombers. Not all of these works were actually undertaken at West Raynham, in particular, the runways were not lengthened. Post-war, RAF West Raynham became the RAF’s premier fighter station. The Central Fighter Establishment were stationed here, whose primary role was training fighter and bomber pilots and crews. Unlike the other VHB stations, it remained under RAF, rather than USAF, command. In the late 1950s there were at least two operational Gloster Meteor jet fighters, a squadron of twin tail-boomed de Havilland Venoms and de Havilland Vampire trainer jets. The very latest arrival in 1957 was a flight of Gloster Javelins, which also appeared at the Farnborough Airshow the same year. In 1964 a tripartite squadron, comprising members of the British, American and German armed forces, was formed at West Raynham to evaluate the Hawker P.1127 Vertical Take-Off and Landing (VTOL) strike fighter aircraft. In the mid-1960s, the East side of the airfield was developed as a SAM site, equipped with the Bristol Bloodhound Mk2 and its associated radars. The resident unit was No. 41 Squadron RAF. Some of the radars, launch control units, and launchers were air portable for deployment elsewhere if required. The site was closed in 1994 and held in strategic reserve by the MOD until 2004, Norman Lamb (MP) campaigned for the base houses to be turned over for civilian use, and it was announced in October 2004 that 170 homes at RAF West Raynham would be sold. In December 2005 it was announced that the whole site would be sold by tender. 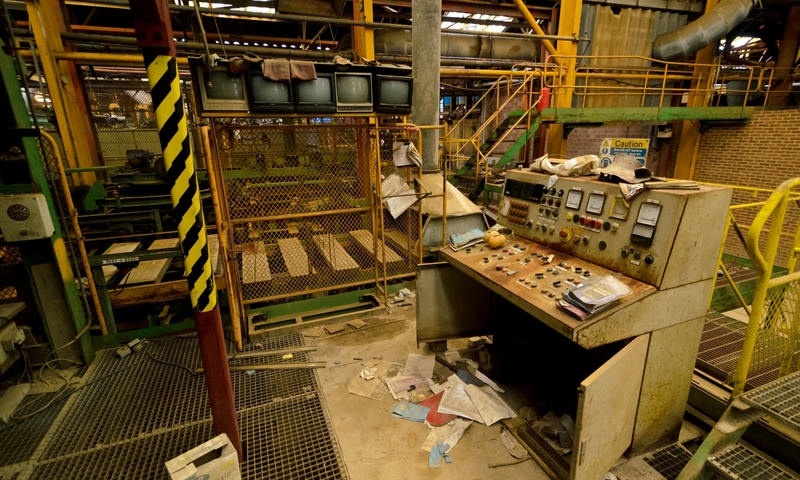 The site was sold in 2006 to the Wellbeck Group who planned to redevelop the site; the site was resold in 2007 to another group who planned to develop the site further. The housing on the base has been refurbished and sold off; the technical area of the site has been converted to a business park with the C-Type hangars being used for industrial purposes. The officers mess, Airmen’s restaurant and accommodation blocks remain derelict. 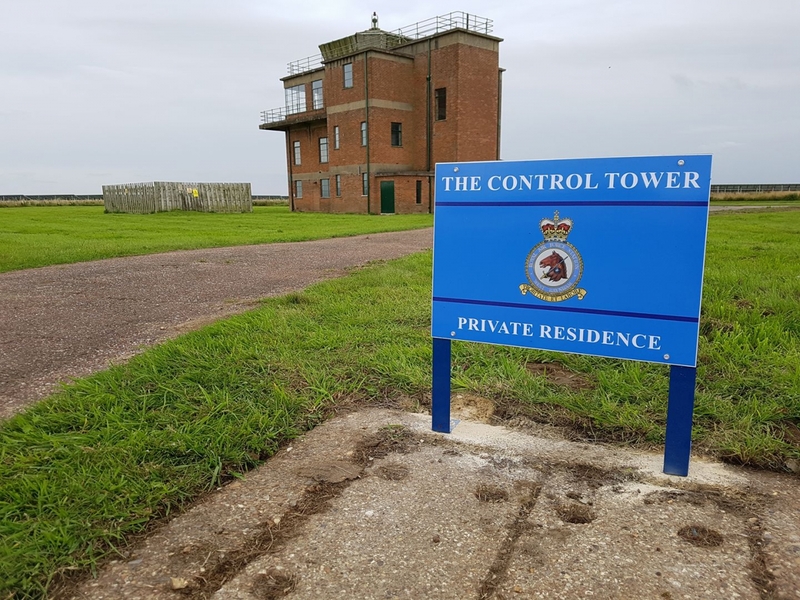 As of 2017, the Control Tower is undergoing refurbishment and is now a residential home, for more details please visit their Facebook Page. The Control Tower is now a private residence.